Alumni Celebrated at Homecoming Weekend | The Gettysburgian. Alumni filled Gettysburg’s campus the weekend of Friday, September 21 and Saturday, September 22, celebrating years of friendship, growth, and a shared love for the college community. While alumni of all ages came back to campus to catch up with fellow former students, the Class of 2013’s flag flew over the cupola and there were various activities to celebrate their five year reunion. The weekend ended with a ceremony to commemorate alumni, employees, friends, and parents for raising a record-setting $160 million as a part of the Gettysburg Great Campaign. Activities and events were offered throughout the weekend, including an open house on the Special Collections floor of Musselman Library and exhibits at both the Musselman Library and the Schmucker Art Gallery. In Schmucker Art Gallery, alumni could view two exhibits: The Plains of Mars, and Face to Face: Carl Beam and Andy Warhol which will continue to be on display through December 9 and November 10, respectively. The Class of 2013 was given the opportunity to celebrate their 5 year reunion with a social on Friday night as well as a photo in front of Pennsylvania Hall and a picnic lunch on Saturday afternoon. One of the weekend’s biggest events was the Homecoming football game against McDaniel College on Saturday. The stadium at Shirk Field at Musselman Stadium was filled with students, parents, and alumni decked out in blue and orange. During halftime, Gettysburg honored the Hall of Athletic Honor Inductees including the 1977 men’s track and field team, this year’s Team of Distinction, and the national championship-winning women’s lacrosse team. The Bullets marching band and color guard also performed during halftime of the 25-0 game that had Gettysburg’s Bullets defeated. Alumni could be seen consistently walking in and out of the CUB lobby, where there were “See Who’s Here” boards signed by alumni and a long table with a “Welcome Home” sign and pamphlets laying out the weekend’s events. Recently graduated students were also celebrated over the weekend with a Class of 2018 First Reunion party in The Attic on Friday night. Staats also pointed out that she was jealous of the First Years at the school who have only just begun their journeys at Gettysburg. The Musselman Library hosted various events over the weekend, one of them being the Student Employee Social for former and current student employees of the library to reminisce about their experiences over the years. Meggan Smith ‘04, a member of the current library staff, shared her love for this opportunity to catch up with former employees. Smith also noted that alumni from past years have mentioned that the special community feeling of Gettysburg has not changed over the years. 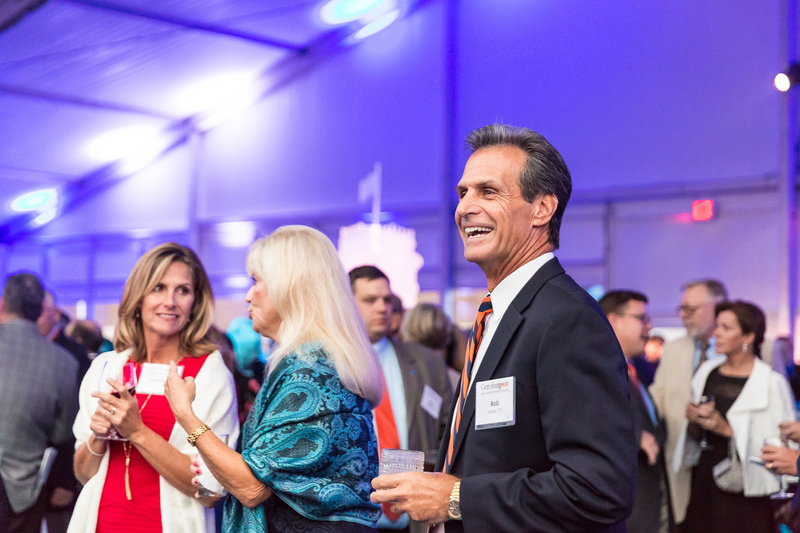 A main event of the weekend included the Campaign Celebration on Saturday night that commemorated the $160 million raised over the course of seven years as a part of Gettysburg Great: The Campaign for Our College. With the help of 25,132 alumni, parents, friends, and employees, the college is now able to greatly contribute to student scholarships and opportunities for academics, global outreach, support towards faculty, and annual contributions to the Orange & Blue Club and Gettysburg Fund. This event included fireworks and a performance by Gettysburg’s College Choir. This year’s Homecoming weekend was altogether a celebration of the community feel of Gettysburg’s campus, which prompted many alumni to return and reminisce about their years here as well as appreciate the new changes to the campus that continue to enhance it for years to come.